Every Jaguar drives like no other vehicle, giving you a truly unique experience on the road. With the brand-new, all-electric powered I-PACE, it’s thrilling as it is innovative. It’s the first pure Battery Electric Vehicle (BEV) in the Jaguar lineup and the excitement only builds from here. Needless to say, it’s an experience that’s exclusive with driving a Jaguar. For the first time in Jaguar history, the I-PACE marks the company’s first foray into engineering an all-electric performance SUV. It produces zero emissions, yet retains the power and dynamics you would expect from other Jaguar models before it. The 90kWh battery on the I-PACE supports long periods of incredible performance, while its dual electric motors can produce 394HP and 512 lb-ft of responsive torque. 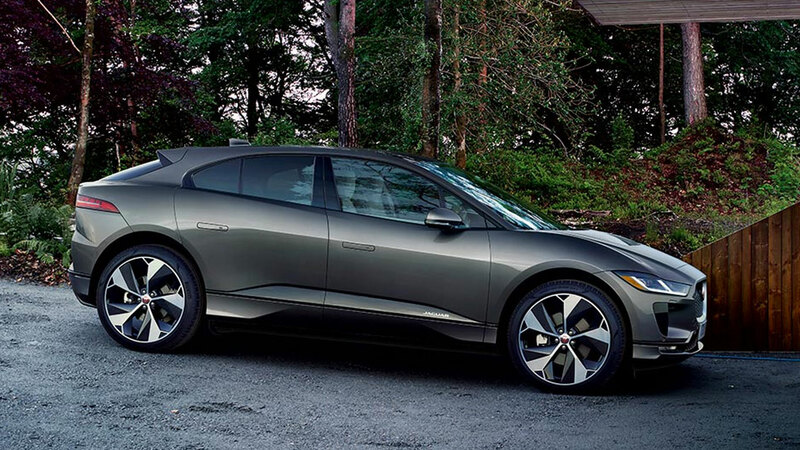 Coupled with its responsive all-wheel drive powertrain, the I-PACE adapts to any surface, weather, or condition ahead. The new I-PACE perfectly encapsulates both the rich Jaguar heritage, and the future that lies ahead. Its entire exterior arches for a more aerodynamic design that allows air to flow cleanly through the vehicle, optimizing its range and stability on the road. Meanwhile, the hood and grille both curve to reduce drag and channel air out of the vehicle for optimal efficiency. The all-new I-PACE also incorporates LED headlights, a panoramic glass roof, and up to 22” wheels to compliment its peak performance with lavish luxury. A sanctuary amongst the ever-so erratic nature of driving, the interior of the I-PACE places the principles of exquisite materials, attention to detail, and innovative design work above all else. It’s beautifully handcrafted materials prove soft to the touch, with contrast twin-needle stitching canvassing each seat with style and comfort. At the heart of the cabin, a futuristic floating centre console exemplifies the astonishing feat of design made possible only by Jaguar. 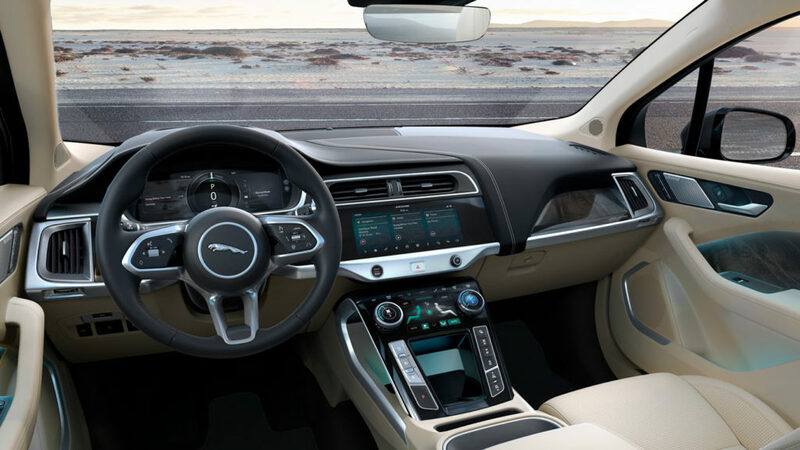 In addition to the lavish interior of the new I-PACE, the innovative technology offers a streamlined experience throughout the vehicle. The Touch Pro Duo infotainment system integrates a 10” Touchscreen into the dashboard with an additional 5” touchscreen below it to provide you with multifunctional features such as its climate control system. While the technologies inside prove useful, the Head-Up Display keeps your line of vision focused on the road by displaying crystal-clear information such as your speed and navigation directions to reduce distractions while driving.